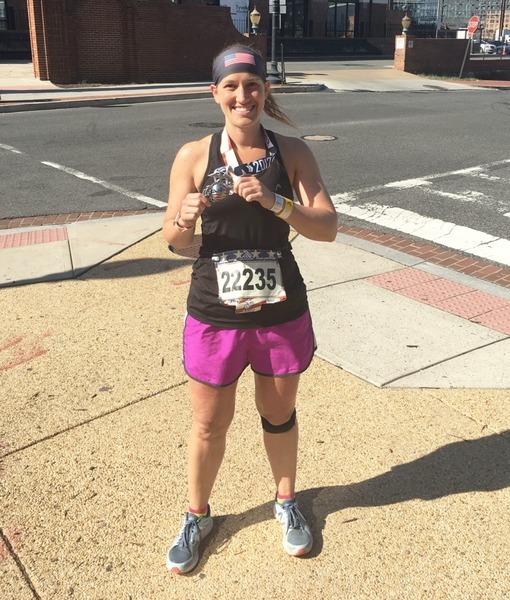 A WTOP staffer chronicles her journey as she trains for the Marine Corps Marathon in Washington, D.C.
WTOP's Sarah Beth Hensley is running the Marine Corps Marathon on Oct. 22, 2017. 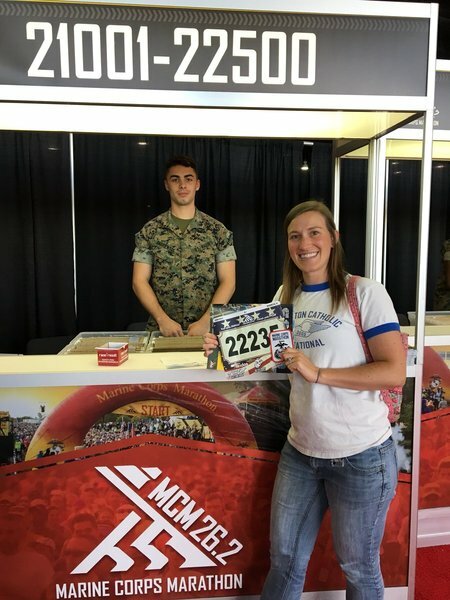 Follow along as she details her training and nutrition plans, shares her obstacles and asks questions that may help anyone planning to run the Marine Corps Marathon and any other races. Have a question, comment or training experience to share? Click "Make a comment" on the gray bar below or email Sarah Beth at shensley@wtop.com. Also, WTOP is looking for runners to feature in an upcoming on-air and online special report. Share your story with us. 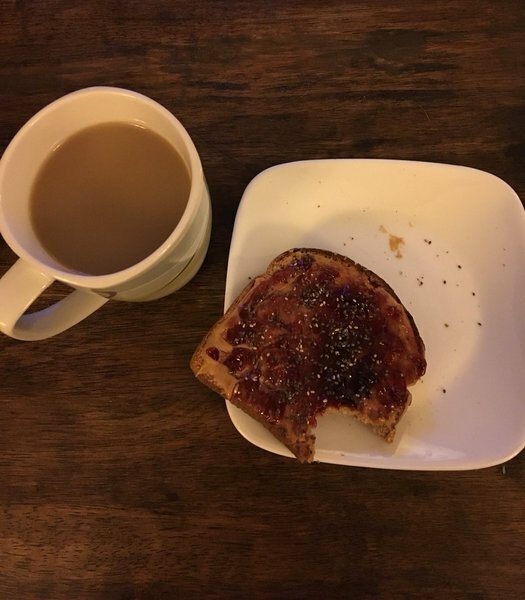 It’s 6 a.m. on a Saturday and, instead of cherishing the day I have to sleep in, I’m up, bleary-eyed, devouring toast and coffee, stretching my haggard hamstrings and trying to chart how I’m going to spend the next 90 minutes or so of the morning. It’s a regimen many people may embrace as part of training for a marathon. 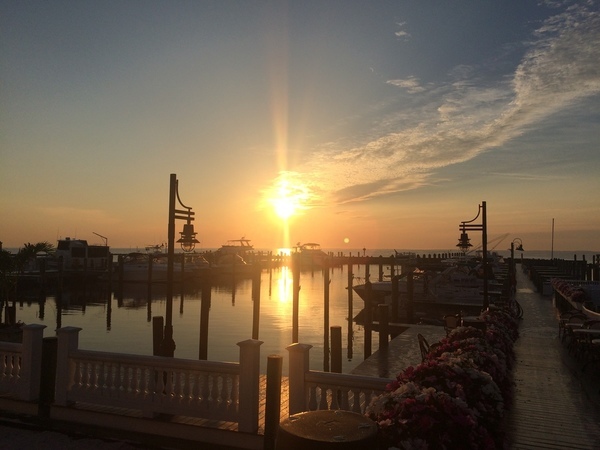 For me, it’s the Marine Corps Marathon, and although the race is in October, I find myself up with the sun in June to log miles before the day’s 80-degree temperatures set in. I’m no elite runner. But I will say that running is my hobby of choice. A little bit about me as a runner: I’ve been running distance since I was about 12 years old and ran cross country and track through high school. After that, I was a recreational runner, putting in miles when I wanted and competing in 5K or 10K races ever year or so. I ran my first half marathon in 2012, and I was hooked on longer-distance races after that. Since then, I’ve competed in about 15 half marathons and four marathons. However, no matter how many races you finish, training never gets much easier. It’s still tough for me to get up early and run. It’s a learning experience every time when it comes the types of foods to eat and the shoes to wear. I may have been through this song and dance before, but I’m always learning more and more about who I am as a runner and what my body is capable of. So follow along as I prepare for the 2017 Marine Corps Marathon. I’ll be chronicling my training runs, documenting my obstacles, passing on any advice I have and seeking answers to my own quandaries. And feel free to comment with your own questions, advice or words of encouragement – it may be just the push I need to get out of bed for those Saturday morning long runs. Going out to run may seem easy enough, but stringing together runs to form an effective training plan that sufficiently prepares a runner for a race is something totally different. You don’t want a plan that burns you out too soon, induces injury or doesn’t jive with your life. Or worse -- a plan that doesn’t prepare you to finish 26.2 miles. Training plan fears are real, and I have certainly experienced all of these concerns. So how am I navigating through this murky marathon-training period? I’ve trained too hard and hurt myself. I’ve trained too little and been upset with my performance. I’ve trained without leniency to the plan and done OK. I’ve skipped runs and done fine. All of this to say, there is no perfect science when it comes to training for a race. 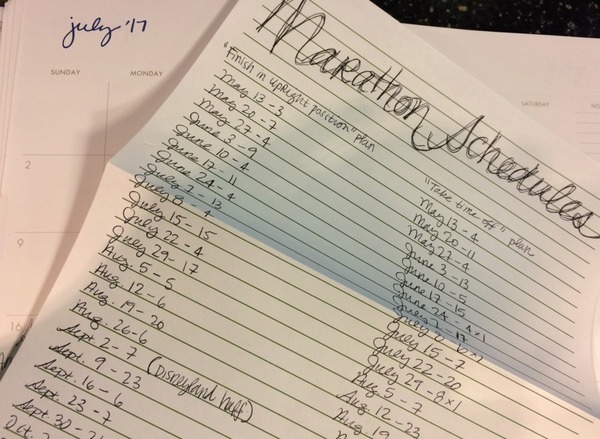 This time around, as well as with other marathons, I’m making tweaks to a plan that has worked for me -- Olympian Jeff Galloway’s training plan for the Walt Disney World marathon. The Disney race was my first marathon and the training plan worked so well, I have continued to apply it to future races. It has variations based on if you’re a beginner, want to “finish in the upright position” or improve your time. Also, it has the breakdown of what to do during the weekdays and how far to run on weekends, contains information about Galloway’s famous run-walk plan and details overall running strategies. And it’s free – I learned quickly that is a big bonus. As I searched for other training plans, I realized I wasn’t willing to cough up the dough to peep a plan I didn’t know would work any better. It’s tailored for Disney races, so it lists the specific dates relative to the upcoming Disney race, leaving me backtracking through my calendar to plan. Also, sometimes I’m not a fan of the run-walk plan, so I don’t care for scheduling those runs. So my plan is some combination of the Galloway schedule mixed with a little bit of speed work. I do long runs on Saturdays mainly. During the work week, I run about 30 minutes two times during the work week, usually Tuesday and Thursday. And I do other cardio on Monday and Wednesday – swimming, elliptical, biking, rowing or cardio classes. Fridays and Sundays are my days off. Like always. No exercise. Ever. A fast-paced job compounded with five days of working out can really wear a girl out! Rest days are extremely important to incorporate in a training plan. I’d argue as important as running days. I’m a few weeks into my training plan this time around, and so far it’s working out OK! Do you have a training plan? Let me know what works for you! Getting tired of the same old run? It’s easy to do. I find that sometimes I can’t will myself to get out and run when I’m growing weary of my same old routes, or watching the same old shows when I take it to the treadmill. That’s why I decided to change things up this week and run commute, or “run-mute” as people (OK, maybe just me) call it. 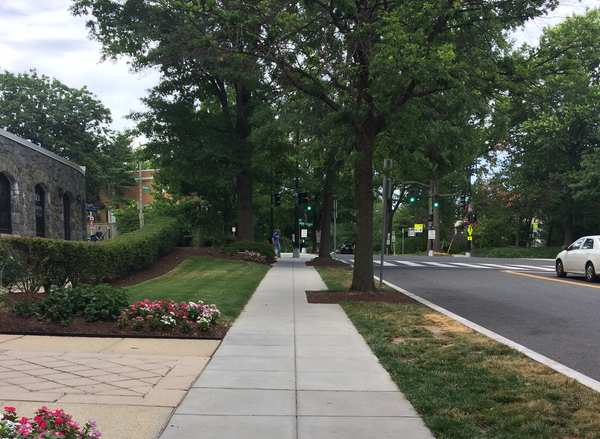 I live a few miles from the Glass-Enclosed Nerve Center, so on Tuesday, I packed my running clothes, took public transit to work and then opted for a run commute home. There are some major perks with my return run-mute: I’m traversing the city when the weather has cooled off and forcing myself to run a fixed distance. Beyond that, it’s good for the environment! There are some crummy aspects. It takes some planning. Also, putting my run off until later in the day leaves me ruminating about my looming run: did I have too much coffee before this run? Did I eat enough? Did I eat too much? Where can I stretch? What if my coworkers see me running and I need to pick a wedgie? What if it rains? What if it’s still too hot out? What if it gets too dark? Remember to bring all your clothes/running needs. You don’t want to run to work, only to realize you don’t have pants. Or on a return commute, realize you don’t have your running shoes. Hobbling home in heels doesn’t sound like a good run to me. Anticipate the smell factor. Let's face it, running to work can come with stinky consequences. I'd recommend not running to work if you don't have a shower. If you choose to do so anyway, there are waterless shampoos and body washes that can help remedy the situation. Tolerant coworkers help. Bring extra food. On run-mute days, bringing extra snacks is crucial and I try to get them in about an hour before I plan to run home. 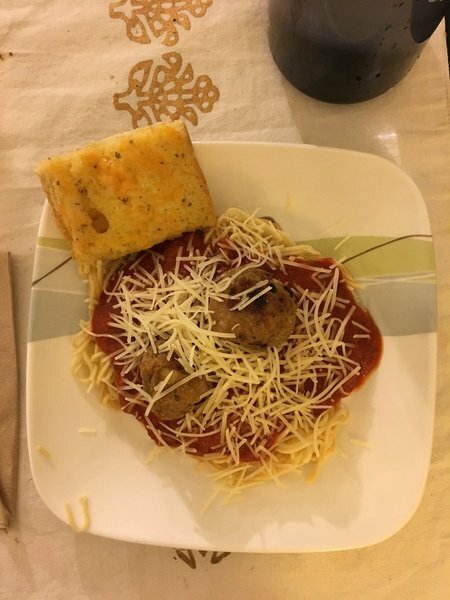 Every runner is different, but I can’t run on an empty stomach, and I’m even less productive if I’m hungry – which is often the case when I’m finishing up my day. Plan and organize what you need and when. If you're running to work, try bringing your clothes for the week to the office, or at least the day before, so you're not forced to haul your work clothes with you while you run. When I run-mute home, I Metro with my running gear, change at the office and stuff my work clothes and other belongings into lockers we have in the newsroom -- then I retrieve it all the next day. Also, I pack light on those days to make sure I'm not leaving too much behind at the office. Be a safe runner. If you're running when it's dark, make sure you're equipped with reflective materials, headlamps, bright clothes, etc. Running with a buddy on well-lit streets is wise, too. I have a clipable reflective, blinking light I got at a sporting goods store for a few dollars that works well for me. Make adjustments. Commute too long to run-mute? Try taking public transit part of the way and running the rest. Run commutes can be a great way to feel energized in the morning, or help clear your head in the evenings. Do you run-mute? Share what helps your run-mute. This summer has been a tough one for me. This past weekend, I hit the snooze one too many times and found myself heading out for a 13-mile run a few hours later than I had desired. My delayed departure had me running through some of the warmest hours of the day. I cowered in the sunlight, craved shade and sweat through everything I was wearing. Boy oh boy did I sweat. This isn't the first time I've been out running in temperatures flirting with the 90s. This season has been a particularly challenging one when it comes to balancing D.C.'s humidity, warm weather and my training plan. 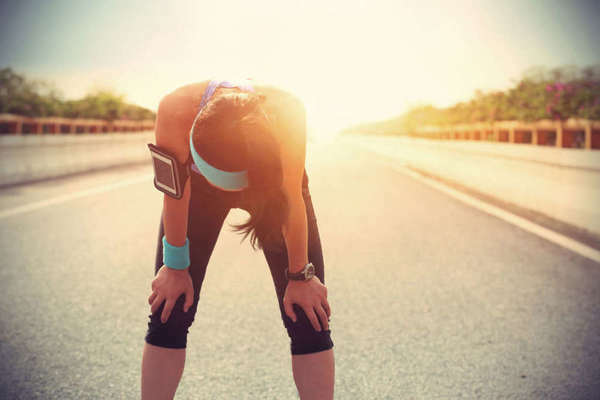 So to get more answers about staying safe during hot-weather running, I turned to a D.C.-area doctor who provided tips for running through some of the summer's worst heat. My calendar is a little booked these days. The last few months have seen a flurry of visits from friends and family, trips to the beach, flights to visit my parents and quick weekend getaways. I’m not complaining – I’m quite grateful my summer has been filled with guests, entertainment and sunshine. And I’m blessed to have the means to travel. It’s just that often my voyages come at the expense of my marathon training. Each time, I promise myself I will get up and go run before my 6:30 a.m. flight; I’ll carve out an hour or two to run when I have visitors in town; I’ll convince my traveling companions to incorporate running into the agenda. Alas, these things rarely happen. Still, it’s not impossible to coordinate training and travel schedules. Here are a few tips when it comes to running while you’re on the road or entertaining guests. Plan. This sounds obvious, but actually going out and running is much easier if you’ve planned which day you’ll do it, where and how long you have to run. Know which days you’ll have the energy to run and what time of day works best. And be prepared to get up early. That seems to be the best time for me to actually do my run and get out ahead of what can be busy days. Also, if I’m in a new city, I try to research places that are runner-friendly such as trails or parks in the area. Pack. Make sure you take your running shoes, socks, GPS watch and any other appropriate apparel when you’re traveling. Think about an extra layer too – just in case you’re visiting a chilly destination. Communicate expectations. I’m often guilty of this when I’m traveling or entertaining guests – I want to go out for a six-mile run, but my companions have a different idea of how the day should go. A museum visit, dinner reservations or “quality time” may overlap with the time I intended to run. It’s best to let your fellow nomads or visitors know what day and when you will be unavailable. I don’t think it’s an unreasonable request – and it may even motivate others to get out and run with you! Consider safety. If you’re in a new city, be mindful of safety always. Run in well-lit areas and consider recruiting a buddy. Utilize hotels. Check if your hotel has a fitness center and a treadmill. No fitness center? Running stairs can be a good workout, too! Make running part of the destination. Try a run-cation! There are tons of wonderful cities around the world that host races – so plan your trip around a race, or scope out if there are any 5Ks or 10Ks with available registrations scheduled for the time you may be there. I’ve planned loads of trips around fun half-marathon races. I find it’s a wonderful way to see a city and log some training miles, too. Do long runs before you depart. It’s OK to adjust your training schedule and push your long run to before or after you leave. I’d rather get in a long run a day or two before than not at all. Be realistic and enjoy your vacation. Training for a marathon is a commitment and should be taken seriously, but don’t beat yourself up if you’re not training exactly by the books. Run when you can, and remember to enjoy yourself. I’ve had a few too many instances where I got down on myself for not running as many miles or days as I should have during a trip … but I enjoyed an experience instead. I’d rather have memories of that than logging treadmill miles in a dingy hotel by myself. What tips do you have for traveling and training? Share them with me – and bon voyage! If you see me running through the area laughing, don’t be alarmed. I’m not totally crazy. I’m just listening. Sometimes running is boring. So this past year, I’ve starting listening to comedians’ sets while running to help pass the time. John Mulaney was with me on hill day. Louis C.K. helped me through a 15 miler. Tig Notaro distracted me through knee pain. Amy Schumer helped push me through speed work. Music and news/politics podcasts are often my bread and butter when I’m running alone. But every once in a while, I need a palate cleanser – an escape from the same old music and some time away from the crazy news cycle that is center stage in many of my favorite podcasts. That’s where comedy comes to the rescue. So for those of you interested in adding a little levity to the long run, here are my top six favorite comedians to listen to on runs and their albums. I am a Spotify subscriber, so all of these are on that forum. Note: There is profanity/adult content in almost all of these albums. Louis C.K., Hilarious. His comedy is dry, his delivery is so perfectly normal and his knack for storytelling about newly-single dad life is impressive. Just enough to pull me out of a mid-run funk. Aziz Ansari, Buried Alive! I feel like Ansari’s comedy, and this album in particular, touch on a lot of generational woes to which I can relate. Food, dating, proposal stories, family, texting. It’s all in there. Iliza Shlesinger, War Paint. Her voices, spastic delivery and energy get me moving on even the longest runs. Patton Oswalt, Tragedy Plus Comedy Equals Time. Nerdy, corny, real, sometimes a bit too much information, but always funny. Hannibal Buress, My Name is Hannibal. Airline travel jokes may seem played out, but Buress manages to freshen things up. Plus his relaxed approach is captivating. Jim Gaffigan, Mr. Universe. OK, it’s a lot about being a dad and eating food. But this cleaner comedy is snicker-inducing all the way through. I feel like I spent at least the last several miles of every long run thinking about what I’m going to eat next. Pizza, paninis, burritos and french fries all seem to call to me. Turns out, there are more strategic meals I should be eating to give my body the nutrients it needs. 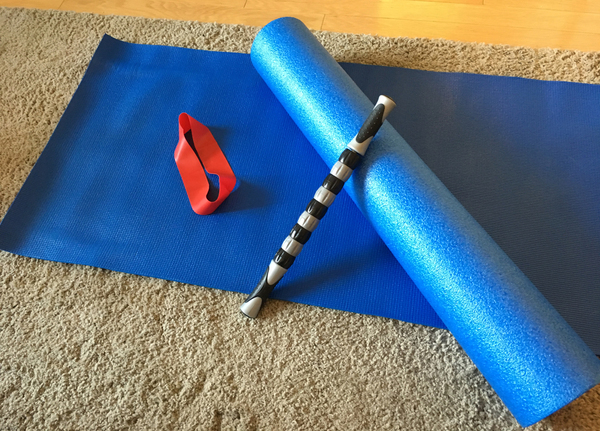 Stretch it out: Foam rollers, tiger tails and resistance bands can help with injury prevention. Months spent training for a marathon can be futile if you don’t stay healthy and injury free. I would know. Two years ago, after more than a decade of injury-free running, I had some knee pain. I took a few days off, and when it still didn’t feel better, I took a week off. I thought I had tweaked something on a recent long run or pulled a muscle. I decided to see a doctor as training time dwindled and my pain didn’t diminish. The doctor told me I had “iliotibial band syndrome” – otherwise known as “IT band syndrome.” It’s not totally uncommon (especially among women) and can be treated through physical therapy. Awesome! Still, I was doing math in my head to see how many long runs I could miss before marathon day. Finally I came to a sad, sorry realization: I was in too much pain, had missed too many training runs and would do more harm than good if I ran a marathon. It was truly a difficult. melancholy time for me. I don’t mean to be melodramatic; people suffer far worse injuries – running or otherwise. But running is my thing. It levels me, inspires me and relaxes me. It gives me life and wears me out. I like running, you guys -- and to have my favorite pastime taken from me really stunk. I felt betrayed by a friend. And then I started thinking about all the time I spent training … all those early-morning runs I would never get back; all the vacation time I labored pounding the pavement; all the nights I sacrificed fun for restful sleep. It made me even angrier at my injury. Listen to your body. If you’re feeling aches and pains, scale back your workouts. Or don’t run at all. It’s tough, I get it, but it’s better to miss some work outs than miss a race. Stretch. Tight muscles and tension can lead to injuries – and stretching and foam rolling can help prevent those injuries. I learned some stretches in physical therapy and try to work them in every once in a while; even more when I experience knee pain. Gradually build mileage. Doing too much, too fast can cause injuries to flare up. Try the 10 percent rule, which states that you should never increase your weekly mileage by more than 10 percent over the previous week. Try other exercises. A training plan that only includes running could be setting you up for overuse injuries. Add swimming, biking, rowing, yoga and other lower-impact exercises into the mix. Have you dealt with a running injury? How did you overcome it? How “enthusiastic” are you about running, and training, for a marathon? It can be really tough and time consuming -- it’s easy to get down on yourself as race day approaches. But it’s that fire-in-the-belly feeling – that zeal for running that motivates us to accomplish this impressive feat. It’s something Marine Corps Marathon Race Director Rick Nealis reminded me of. I interviewed him for a story I’m working on and what he said really stuck with me. “You have to be enthused about running … some people say it could be boring… it’s an individual effort,” Nealis said. It’s so very easy to do nothing. Sleeping, brunching with friends, binging Netflix, reading a book – all of these alternatives seem more attractive to me than running from time to time. However, a passion for running, an ardor for the sport and an appreciation for what the human body is capable of fuel me through the harder days. There are days so many runners get discouraged, but putting in time, miles and a dash of enthusiasm can go a long way, Nealis said. Running is different from so many other sports, too, he pointed out. Lately, I’ve been getting a little lethargic and dreading some of the longer runs. This message from Nealis hit home at a time when I needed it. I hope it helps push anyone else who needs a little bit of motivation. Running a marathon is tough. So is running around watching someone run a marathon. 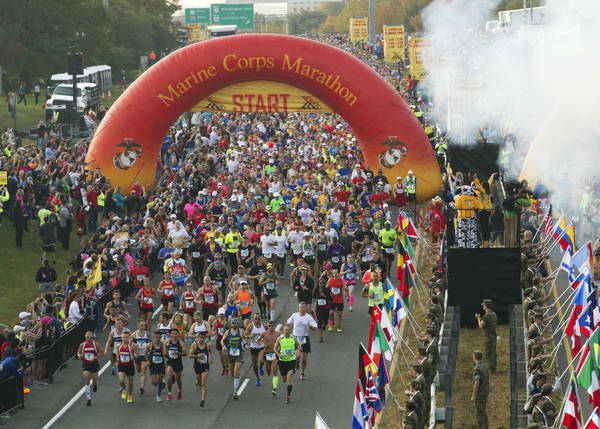 Spectators for the 42nd Marine Corps Marathon once again have their work cut out for them, but hopefully WTOP's Marine Corps Marathon Spectator Guide can help them out. It's got details about what runners should and shouldn't bring, some of the best places to watch runners and ways the marathon is keeping spectators safe. Runners need spectators -- the cheers and encouragement can really help give runners an added burst of energy. 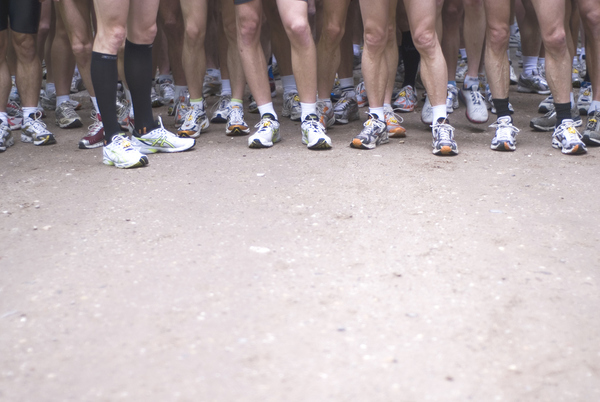 Even though spectators can be the best, runners sometimes know they can be the worst. Dart in front of runners. We get it ... you need to get to the other side of the road, but running in front of runners can cause them to break stride and lose their flow. The best thing to do is either wait until a race official gives you the go-ahead to cross or run diagonally with the runners until you can cross without cutting someone off. Say "you're almost there." Unless I'm literally about to cross the finish line, I'm not almost there. Don't be saying that to me when I'm at mile 21 ... because I'm not "almost there." In fact, I've mentally and physically got a long way to go. Give out false information about the course. "It's all downhill from here;" "There a water station close;" "You're near a medic station." Don't say any of these things unless you KNOW it. Cheer loud and proud! Motivation can really put a smile on runners' faces! Personalize your encouragement. Say the runner's name if it's on their bib or shirt. I love when people holler my name along the course ... it takes my mind off the course and makes a stranger feel like a friend. Stand out. Wear a certain color, carry a flag, bring balloons, make a unique sign ... find some way that your runner can see you in a crowd. Make runners laugh. Funny signs, music and high fives are sure to cheer me up and take my mind off the race. Be social. 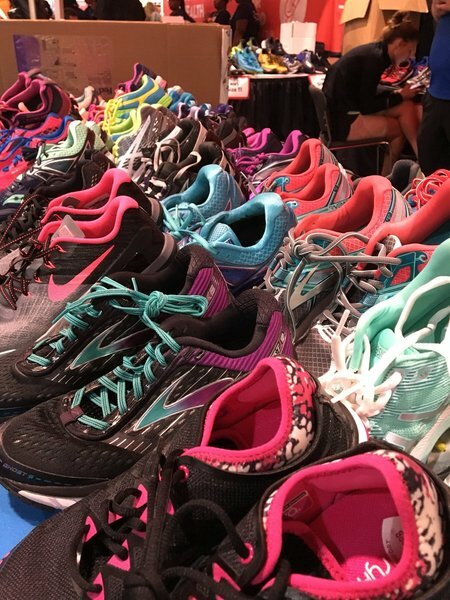 Use #RunWithTheMarines on social postings so runners and organizers can find MCM photos. One thing I can't quite decide on ... the offering of alcohol. Some people love when shots, beer or cocktails are offered along the course. I would never slow down to drink anything but water or Gatorade along the course, so I find it slightly obnoxious ... but others may love it! Either way, go out there and have fun, spectators! You're an important part of the race weekend and keep the runners going! Here is comes! Race day is almost here -- and I can already feel that pit in my stomach. Pre-race anxiety can be overwhelming and perhaps crippling. The pre-race jitters get to me. It happens to me sometimes days before races I have already run. My anxiety tends to be even higher if it's a course I've never run or a town I don't know well. Being nervous before a race is totally normal -- it signifies that you're excited about the event; but don't let it get the best of you. 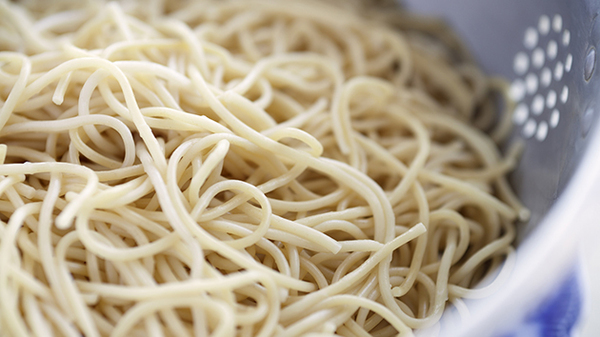 Here are some tips that I use to get through those pre-race nerves and have a good run. 1. Check out the course. Knowing what to expect out of the course can help reduce nervous energy. It's great to get out and run part of the course ahead of race day. If you can't do that, you can try to drive it, bike it or walk part of it. If all else fails, study the course map on the Marine Corps Marathon website. 2. Trust your training. You put in the miles. You got up early. You earned the blisters. You nursed the sore muscles. You trained like a beast -- now trust the plan and know that your body is ready. Conversely, if you didn't train the way you should have, trust that you need to temper your expectations. 3. Give yourself time to get to the starting line. I'm most stressed out when I feel rushed. I'm more likely to be frazzled on mornings that I slept in too late or didn't give myself enough time to get through my pre-race routine. Know how long it's going to take to get to the starting line and add extra time you may need for things like wardrobe changes, gear check, stops at the bathroom, security and stretching. 4. Have a plan. Visualize what you're going to do on race day and know what your goals are and the best way to achieve them. Do you need to start at a certain time or with a certain group? Do you need to be at a certain pace at the beginning of the race, or are you trying to hold back for the first few miles? Coming up with a race-day plan can help you map out the strategy and be less anxious leading up to the race. 6. Breathe deep. Getting in a few deep breaths and focusing on the mission can help you relax and ease some tension. Now knock down those nerves and run your race! You can do this! It's almost here ... Marathon (and 10K) Sunday is rapidly approaching! 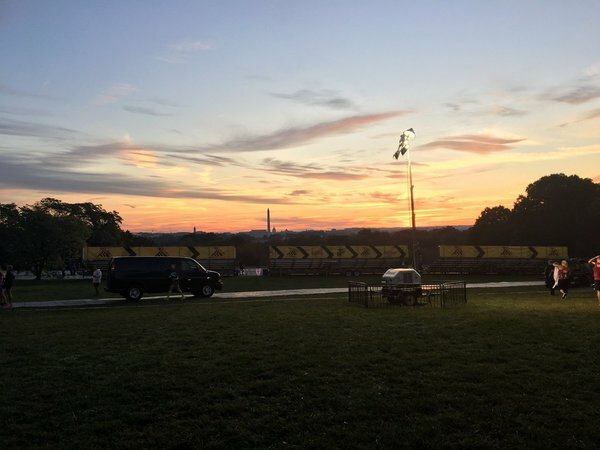 Check this blog to see my tweets about Marine Corps Marathon Weekend events, including the Health & Fitness Expo, transportation to the race, last-minute meal planning and more. Traffic isn’t bad from D.C. heading to the @Marine_Marathon starting line ... but be ready for road closures and detours! It’s all about perspective. I have to keep reminding myself of that. 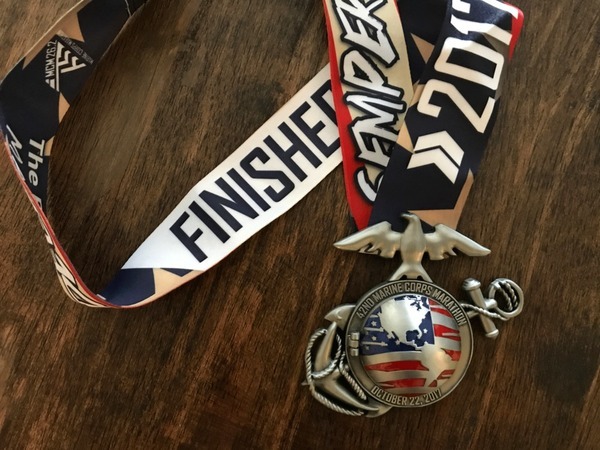 I finished the Marine Corps Marathon on Sunday – but it wasn’t my proudest performance. I felt great ahead of the marathon, and I started out feeling wonderful and strong. I ran some of my fastest splits for the first 13 miles. But then around mile 14 muscle cramps set in. Burning, painful charley horses crept up my quads, into my calves and feet as the miles mounted. I was forced to walk, setting me off pace and causing me to question if I would finish. The last 10 miles were the most difficult I’ve experienced in my running career. But I finished. I was disappointed with how I had done. But I finished. Did I let the heat get to me? Did I start off too fast? Did I not drink enough water or Gatorade? Did I not stretch enough? The questions pelted me as I ran, and linger well after the race ended. But I finished. I finished about 10 minutes later than my goal time; it wasn’t my best time, and it wasn’t my worst. I grimaced as I approached the end. But I finished. As I lamented my performance after the race, upset with my race strategy and pain (which I had never experienced in any of my other four marathons, nor during training runs), my husband, family, friends and coworkers reminded me about an impressive accomplishment: I finished. Some days you beat the race, and other days the race beats you. But, again, it’s all about perspective. I wasn’t pleased with how I ran, but I still was able to cross the finish line of a truly inspiring race. Where do I go from here? You better believe I will be back to run the 43rd Marine Corps Marathon. 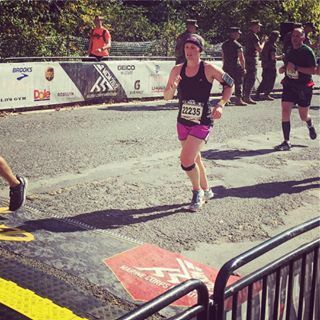 I may not have had my best race on Sunday, but I still love running and I still adore the Marine Corps Marathon race. I still cherish my time running and value my interactions with so many people in the running community. Between now and then, I’ll be running other races around the country and the D.C. area – let me know if you have any recommendations! Follow me on Twitter to get more information about those adventures. To all the other Marine Corps Marathon runners, congratulations! You have a lot to be proud of. Let me know how you did and what's next on your race calendar. But for now, relax, indulge, stretch and rest. Mission accomplished! Miss any of WTOP's coverage? 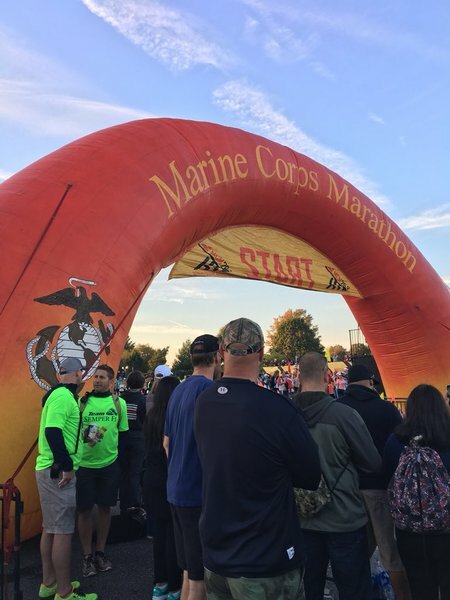 Check out our Marine Corps Marathon page with photos, details about the day and a follow up about how runners spotlighted on WTOP finished.